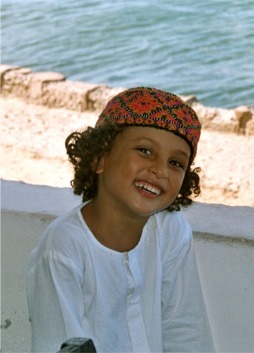 At Lamu Retreats we don't go in for too much on-line jiggery-pokery! We aren't likely to have an interactive availability calendar that allows you to see (apparently!) when the houses are free. We certainly don't want you to be handing over any money or paying a deposit until we have had plenty of time to get to know each other and to help you make sure that the Retreat you choose is just right for the holiday you have in mind. Once you decide what kind of holiday you are looking for we can offer advice on other activities or destinations to complement your stay in a Lamu Retreat. 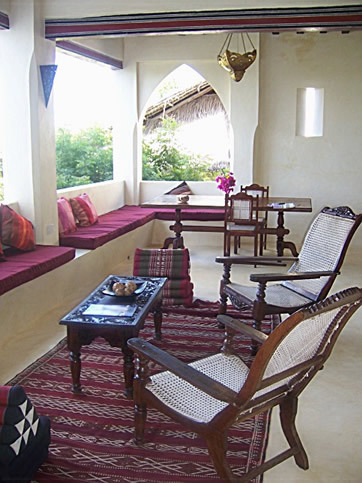 We are not Travel Agents or tour designers, but by dealing direct with Lamu Retreats you deal direct with the home owners and therefore may avoid considerable agency fees and mark ups. We are however lucky enough to be affiliated with Ulendo Safaris who not only assist us with our reservations desk but are also IATA bonded, meaning that we can arrange all your travel needs from start to finish, if you don’t want to spend your days trawling for flights on the internet. 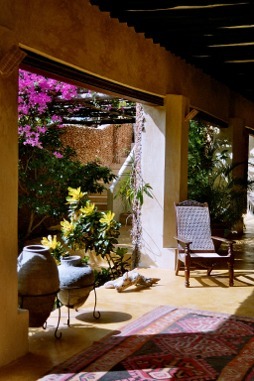 We also know the retreats and the area intimately and will tailor make your booking to fit like a glove. Look at the prices for the retreat you are interested in and and divide by the number of people in your party (or take the room rate if one is given) and multiply by the number of days you are staying (dont forget to take dates into account, the peak and off-peak times may vary between retreats and if you are not restricted to school holiday dates etc. then there are great savings to be had). Add in around US $25 per person per day. This will cover your food, soft drinks, beers and basic shopping for the house. It will allow for enough extra for several outings during your stay (perhaps a beach barbecue, a trip to Manda Toto for snorkelling or a dhow sunset sail). It will also probably leave enough in the kitty for tipping house staff at the end of your stay. Check on the Internet for Flight to Kenya. You can get a Kenya Airways or KLM ticket from anywhere in Europe all the way to Lamu (Airport Code LAU) via Nairobi. The cost of this even at peak times should be less than £900. If you want to save even more money look for "Flight Only" or "Self Catering" packages from the big tour operators and charter airlines such as Britannia and Safari-Air. You can usually fly to Mombasa on 7 or 14 day return for as little as £320 from London Gatwick and add on a Mombasa-Lamu return with a Kenyan charter airline for under £200. Total the three figures above and see if you can find a travel agent to match this price with a package. You'll be pleasantly surprised at the low price of freedom! If you prefer the convenience and security of using a travel agent or tour designer to help you book your flights then look no further with all the contacts in the business and as our preferred partner with intimate knowledge of all the retreats and how to get there Ulendo Safaris can put the whole thing together for you. 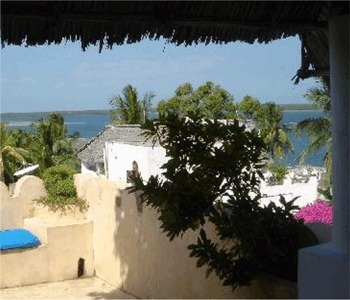 Let's start planning your escape to Lamu !! You browse our portfolio of houses and decide which is your favourite and best suits your needs as a party. If you wish make a shortlist in order of preference in case there is no vacancy at your first choice of Retreat. Work out the dates that you would like to arrive and depart. These may be dictated by the availability of your flights so it might be best at this stage to check this with your travel agent or on the internet. Remember you can fly from anywhere in Europe to Nairobi and connect the same day to Lamu, and when outbound you can leave Lamu in the afternoon and be on a night flight back to Europe the same evening. Let us have your arrival and departure dates. We will advise you of the suitability of the property that you have booked for your specific needs and possibly suggest alternatives. Once in agreement we will send Availability Requests to the preferred property/properties. Once Availability has been confirmed we will revert to you and advise you of your options. This will result in a Provisional Booking once you have decided which property to book. You will then have 72 hours in which to organise your travel arrangements during which period we will hold your Provisional Booking. Once this deposit has been paid you will be placed directly in the hands of your hosts at the Retreat of your choice and will make all further contracts and arrangements with them. LAMU RETREATS will monitor your booking and ensure that retreat owners maintain contact with you and that the booking is going smoothly in whatever way we can. AT NO TIME WILL YOU BE DEALING WITH AN AUTOMATED REPLY SERVICE OR MULTIPLE OPERATORS WHO DO NOT HAVE THE BACKGROUND ON YOUR HOLIDAY NEEDS. YOU WILL BE DEALING WITH A NAMED PERSON WHO WILL HANDLE ALL YOUR QUERIES ON A ONE TO ONE BASIS AND EXPLAIN ANYTHING YOU DO NOT UNDERSTAND. JUST ASK........................ THAT'S WHY WE'RE HERE! Owners of Jasmine House, The Lamu Retreats, Kaya Mawa lodge and Katundu Textiles. ......Oh! A couple more great ideas - check out our recommendation for a personal photographer and a personally guided safari.